Whether you’re conducting business internationally or locally – website localization is becoming an important tool in every small business’ strategy. Adding languages to your website gives you an edge most of your competitors still don’t have – you either do it now and take advantage of that or you do it later on in order to survive, that’s your choice. It pretty much is the same thing that happened with mobile/responsive websites a couple years ago. Small business owners were under the impression they didn’t need to offer a responsive website – after all why would they invest more money than they already have into their websites. So they waited and waited, and what happened? The few smart business owners made their websites responsive and started benefiting from tons of mobile visits, engagement, sales & more while the other business owners couldn’t figure out why their visits dropped, conversion rates decreased and so on. Eventually, the internet caught on and case studies as well as astonishing results were being published everywhere online explaining the benefits and growth directly related to having a mobile-friendly website. The early birds were the ones now ranking high on search engines, benefiting from low mobile advertising costs, increased conversions, returning visitors and so on. The ones who only later decided to go responsive were struggling at the bottom/back of search engines, experiencing terrible conversion rates, and the customers they did have stopped returning because they found an alternative that provides a friendly experience on their mobile devices. That’s what is happening with website localization today. Eventually everyone will be doing it, but the ones doing it now are growing their businesses and guaranteeing themselves a spot in the near future. 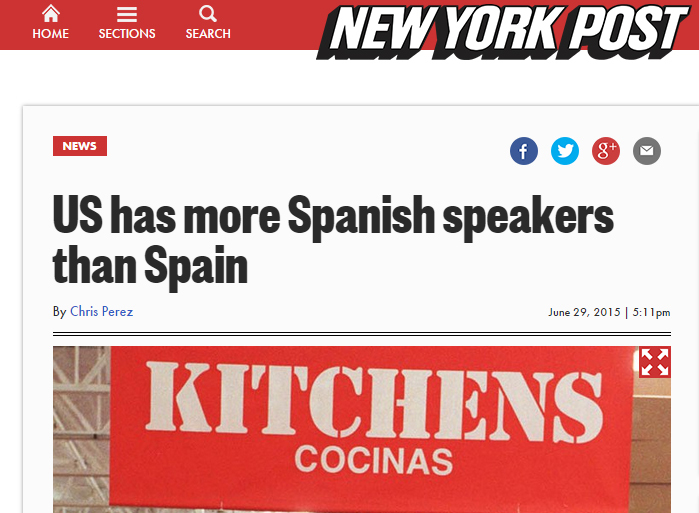 Do you know there are 41 Million native Spanish speakers in the USA? Do you know 72.1% of consumers spend most of their time on sites in their own language? Do you know 56.2% said browsing in their own language is more important than price. Put two and two together, this basically means 41 Million people in your backyard want absolutely nothing to do with your business. That is just one example – keep in mind there are also Chinese speakers, French speakers and so on that are barely getting catered to. Why would you not take advantage of that? Why target the same English speakers your competition is targeting when you can easily focus on groups which aren’t being served properly. Those groups also prove to be the most loyal with the highest lifetime customer value, that’s because one they appreciate the effort you make by addressing them in their native languages (shows a sign of respect) and second because they subconsciously feel a sense of security & connection with your business that can only be achieved by breaking down language barriers. You aren’t just another company hoping for their business – you’re more of a local neighborhood shop that feels like home – and that feeling is priceless. Local small businesses are a wide variety and website translation is a marketing tool they need to start considering. Whether you’re a locksmith in California who speaks both English and Spanish or a hostel in Greece that caters to mostly French visitors – it’s time you show them the respect they deserve. It will only benefit YOU – think about it. Let’s say you’re a Chinese tourist in New York City looking for a nice restaurant around Time Square – your English skills are decent but that’s where it ends, you know a few words here and there, enough to get around but writing or reading isn’t your forte. You search Google for a few Indian restaurants in the area, you come across 10 well-reviewed ones and start browsing their websites. You start at the top of the list and they seem to all be English-only websites, you can figure out the phone number, the hours but the most important thing, the menu, you just can’t put together, basically taking you a few minutes to read each item – barely understanding what they mean. 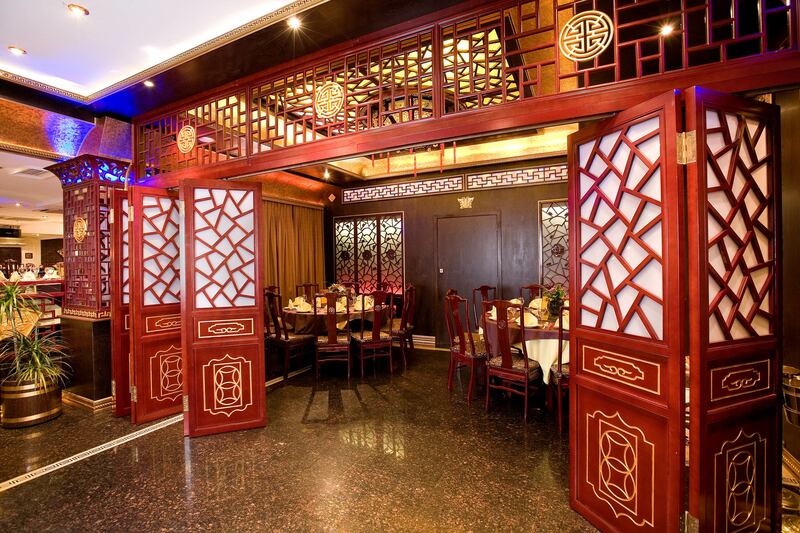 Finally, you come across restaurant that offers a Chinese version of their website where you can actually read the menu and ask your friends/family if it sounds good to them. Even though the restaurant with the Chinese-translated website is #8 on the list, you’ll still pick it because it makes you feel familiar, you know you’ll be able to go, read the menu for yourself and not count on the waiter having to slowly describe every single item in there making it an awkward experience for your family/friends. That’s just one example – there are tons of situations. What about if I’m a French speaker in Miami looking for a plumber – I search Google and find 20 plumbers, all advertising. But I see 1 website with an ad written in French since through Google Adwords they could tell I’m using a French browser…which plumber do you think I’ll call? Even if he’s more expensive, I’ll get the French website one because I feel a connection, I feel like I can express myself with him and subconsciously I feel more familiar and safe. Let’s move on to bigger businesses, e-commerce sites that accept payments in multiple currencies, ship all over the world – yet they only have an English website. Does that make sense to you? What is the point of shipping internationally and accepting different currencies if you aren’t targeting global markets? 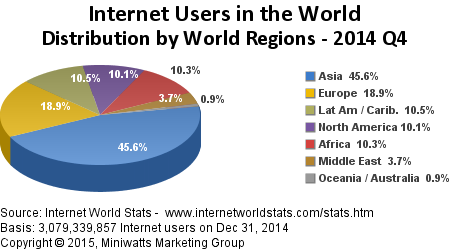 Oh, you are targeting global markets…right – did you know only 27% on Internet users speak English? If you want to go global, do it properly – add languages, that’s the most important part and it’s missing from your “global” strategy. One more thing, advertising to global users has the lowest cost associated to it, Facebook Ads, Google Adwords, Twitter Ads and so on – target other countries except for USA/UK/CA and different languages and you’ll see how your overall CPC drops dramatically. Not only do your advertising costs drop, your conversion rates increase by a lot. Isn’t that the point of your business? Dropping advertising costs and increasing revenue? But you aren’t adding languages? Makes sense. You know what? A few years ago it maybe would have made sense – the costs of proper website localization were tremendous, too much for small to medium businesses to absorb. It involved hiring a developer, translators as well as a project manager to coordinate all of that mess. Not only that but you’d have to go through the whole process every time you updated your website, so of course it seemed impossible. Today things are different, many companies are making website localization accessible to small businesses, one of them being us, Bablic. 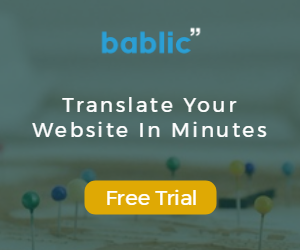 Using Bablic you can translate any website with just one line of code – no programming required and no tremendous upfront costs either. It also doesn’t take much time to set up at all. You can literally start offering your machine translated website within minutes but then again, machine translation isn’t so effective. That’s precisely why we let you start off with machine translation and then give you the tools to manually improve translations, replace images and even fix style/css issues with just a right-click in a user-friendly, visual, editor. We even dig deeper and let you edit Meta Tags, localize URLs and create a multilingual sitemap so you can benefit from free, organic, search engine traffic. So today, the only reason your website isn’t multilingual is just you being passive about your business. Some people are active and some aren’t. Some are always working on enhancing their business and online presence in order to increase reservations, bookings, sales, leads and so on – and some just aren’t. Some are happy with how things are going and that’s fine. What they don’t understand is that eventually they won’t be happy with how things are going and when they wake up and ask themselves why sales are down, they’ll take a look at their competition and see how they’re offering a personalized experience to all of their website visitors, not just the English speaking ones. That’s when they’ll wake up, they will rush to achieve a mediocre multilingual website but this time it won’t be to benefit from it, it’ll be to survive, and believe it or not – it’ll be too late. Enter new markets – Whether it’s native Spanish speakers looking for Vietnamese food down the block from your restaurant or Italians looking for American-made car parts online – you’re entering new markets and reaching potential customers you never had a chance of reaching before going multilingual. Lower advertising costs – Advertising, like most things in life, works based on competition, demand and supply. If you’re advertising to English speakers, like everyone else, you’ll be competing with more businesses which just drives your advertising/marketing costs higher. Focus on Indian speakers and you’ll see just how much your CPC lowers, don’t take my word for it, try it. More organic traffic – Similar to lower advertising costs – properly adding languages to your website will help you rank and come up for search terms your competitors just aren’t coming up for yet because they aren’t catering to French speakers looking for “vente final sur chaussures” on Google, but you could be. Gain trust – Showing your customers you care about their needs by providing an online experience in their native language automatically increases their trust – and trust is usually the main deciding factor when a potential customer chooses one company over another. Increase conversions – As mentioned above, trust is a main player in increasing conversions and nothing says trust more than speaking to a potential customer in his own language – it makes them feel at home and that’s extremely important in an online world where all you actually see is a screen and a ton of similar websites offering the same products/services in a generic way. Competitive edge – Companies spend tons of money on trying to gain a competitive edge over their competition – adding languages is the easiest/quickest way to achieve that. Chances are that in your industry you’ll be one of the few players with a properly localized website. A recent Website Localization study found 90 percent of European Union Web users prefer to access websites in their own language. Forty-two percent said they never buy online in a language other than their own. Only 18 percent of EU Internet users buy products from a foreign language website. Forty-four percent of EU Web users feel they are missing interesting information because they do not understand foreign language websites. If all of that isn’t enough for you, as a business owner, to start at least considering website localization (which starts at only $15/month using Bablic.com) then the only thing that will convince you is when your sales drop and you notice most of your competition has properly localized websites – but it’ll be too late for you. Enjoyed the post? Please share!